What Does the Pharmacy School Explosion Mean for the Future of the PharmD Degree? After talking with some thought leaders in the pharmacy profession recently, I’m blown away as to what’s happening with the economics of the pharmacy school explosion. Earning a pharmacy degree and becoming a pharmacist used to be right up there with an ophthalmologist. This was a job my dad would try to push me into when I was a teenager for it’s supposed high, stable income with perfect job security. From what I’m seeing, the picture now is not nearly as rosy. To be honest, I’m pissed off what schools are doing to pharmacy students with high student debt. These institutions are reacting to incentives that exist in the federal loan system that place no cap on borrowing. Despite the pharmacy school explosion, six-figure incomes in pharmacy aren’t as reliable as they used to be, and part-time opportunities are all too common. We’ll discuss how this happened to careers in pharmacy and what this means for the future of the PharmD degree. There are 138 pharmacy schools in the United States as of the most recent AACP report in January 2018. Those schools produced 14,500 PharmD graduates in the 2016-2017 class. Numbers mean little in the absence of context though. In the early 2000s, there were around 70 to 80 pharmacy schools and about 7,000 students. That means the total number of grads and schools has doubled over a relatively short amount of time. The government published a widely circulated report in 2000 saying that the demand for pharmacists would soar and there wouldn’t be enough labor supply to keep up. This proposed pharmacist job market saturation created the talking point for why the country needed new pharmacy schools. This projection not only produced more pharmacists, but it essentially is doubling the size of the profession while post-pharmacy school options dwindled. Since demand is up but not by as much as supply, I’m hearing reports all over the country from readers like you that the job market is more difficult than they had expected. How Do Pharmacy Schools Continue to Pop Up Despite Oversupply of New Pharmacists? Since I consult on a wide variety of professions, I can tell you that what’s happening now to pharmacists has already happened in the chiropractic profession. Chiropractic schools will take anyone with a pulse. These chiropractic schools dramatically oversell their outcomes to prospective students so they can charge a huge sum for a degree that doesn’t make economic sense at all relative to the price. I’m not saying the pharmacy world is there yet or that it will happen soon, but that’s the direction we’re headed. You might ask how that could possibly happen in a world where students are still borrowing large sums for PharmD degrees and you don’t hear about mass defaults or anything like that? The reason is that the government will lend you unlimited student loans equal to the full cost of attendance of your degree program. That means whatever the financial aid office says it costs to pay your tuition, rent, food, travel, and other personal expenses, they’re allowed to give you a piece of paper to sign up for that same amount of debt. While a bank would want to see your expected future earnings, credit history, and other factors to determine how likely you are to pay back the loan they make, the government does not do that. Unsubsidized Stafford loans have a limit, and you’ll be familiar with them from pharmacy school. The Stafford loan limit is $33,000 per year for pharmacy students. What if you need to borrow more than that to cover rent, a new car, or other school-related expenses? That’s where the Grad Plus loans come in. Schools don’t disclose it well, but these loans carry an upfront origination fee around 4.25% and an interest rate that often ranges between 7% to 8%. Hence, all you need to start a pharmacy school is to get approved by the entrenched powers in the industry and you’re set. You can access the unlimited pipeline of easy money from the federal government to fund all your students. If you’re in a professional society for pharmacists, a large organization that employs them, or another institutionalized stakeholder in the profession, do you want more pharmacists or fewer? The answer is obvious to me that you’d want more. That’s why we have so many pharmacy schools today. What Could Slow Down the Creation of New Pharmacy Schools? While you could argue that Medicare Part D and the aging of the baby boomers has created a greater need for pharmacists, that need has been met. The oldest baby boomers are well into retirement, and the generation after them is smaller. As an outsider who’s worked with many members of the profession, you know more about the dangers that could impact your income in the future than I do. That said, I’d be worried about competition between other medical professions and automation if I was a pharmacist. If word ever got out to prospective students that the job market was tough, that would slow the applicant pipeline, which could put a chill on adding 3 to 5 new schools every year. The schools would also take a huge hit if the government ever placed maximum borrowing limits on student loans for professional degree programs. Given how creative the schools are at getting applicants to commit with early action programs, 6-year programs that begin after high school graduation, and more, I suspect the pharmacy school bubble is in no risk of popping in the near term. Nurse practitioners and pharmacists will likely be going head to head soon as the number of NP schools similarly has exploded, and the nurse practitioner profession will advocate for an increased role in delivering healthcare services. I would imagine you’ll see more pharmacists having one day a week type of roles in physician offices. Another thing to think about is that there are more graduating nurse practitioners than there are pharmacists. You can bet that the lobbying arm of nurse practitioners will try to protect the economic investment of its members by pushing the line on what NPs can do as far as possible. Automation Reducing the Need for Pharmacists in the Future? I would not be surprised if in a few years you don’t see an Express Scripts / Walmart combination where customers can fill their prescriptions at kiosks like self-checkout today. Pharmacists would likely still be needed in some capacity, but the number needed could be significantly reduced. What if these kiosks could be installed directly in hospitals right next to the physicians’ offices? One time I got a prescription written for a dandruff shampoo that was more powerful than the typical Head and Shoulders stuff. I never got it filled. Why? Because I just was too lazy to make the trip to the CVS, wait in line, pull out the right insurance card, and make sure I used it properly. Of course, if it had been a life and death kind of medication I would’ve treated it much differently, but some prescriptions are not affected by the economy and some are. As demonstrated by my silly behavior, the ease of purchase is even a factor in many cases. 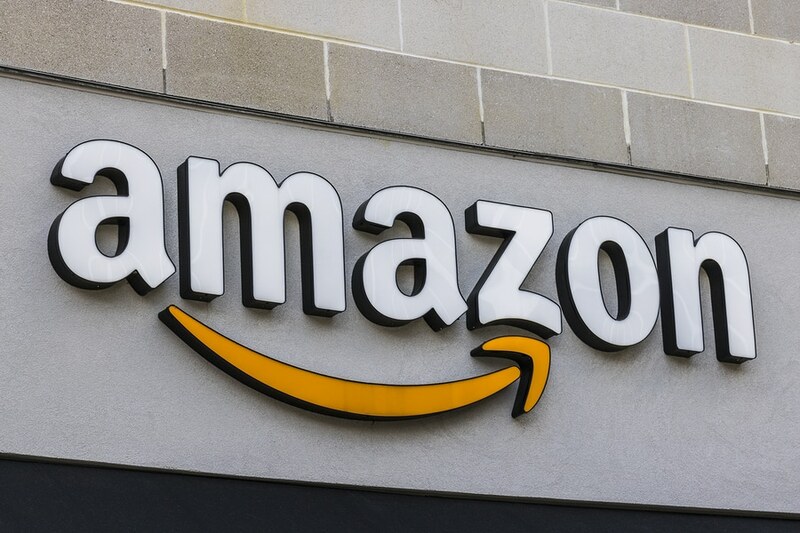 Will Amazon Hurt the Pharmacist Profession? I don’t know about you, but I kind of hate going to stores when I could just order something online and have it show up in a couple days without having to search through aisles. Continuing with their “get into everything” business strategy, Amazon bought PillPack in late June to take on the pharmacy industry. As if by cue, CVS and Walgreens stock tanked. If this pushes down prices from competition, labor is going to be on the table as an expense that needs to be reduced. Using fancy algorithms and sophisticated tech, Amazon will probably be able to utilize the services of far fewer pharmacists than the traditional CVS and Walgreens competitors. Pretend if you were a hospital and you could hire 3 pharmacy residents or 1 pharmacist for the same cost. You need some experienced pharmacists on staff, but if there is anything in the tenured PharmD’s workload that can be easily outsourced to a lower cost resident, that would make money for the hospital. The American Society of Health-System Pharmacists (ASHP) match program filled 2866 resident spots in 2013. Five years later in 2018, they filled 4376 positions. Why did the number of positions increase? 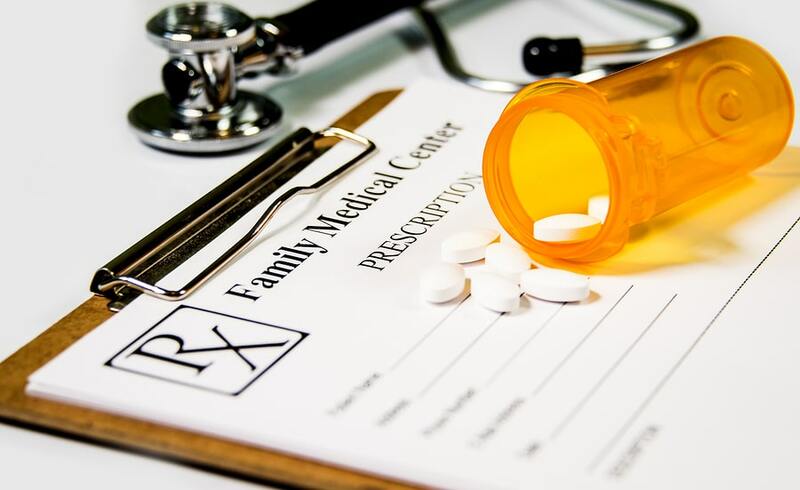 In part, it’s because the American College of Clinical Pharmacy (ACCP) and ASHP wanted to require residency for all pharmacists involved in direct patient care roles by 2020. Even though there’s still time, I don’t think they’ll hit that, but a significant number of new grads now pursue PGY1 or PGY2 residency program training. What would you do if you had more students entering the profession and wanted to slow the glut a bit? You’d create residency programs that cost less to fill than a full-time pharmacist with a six-figure income. By creating ever longer and more intense training requirements for new grads, they’ll gain more training than ever but likely have lower lifetime earnings than their predecessors. If you’re still applying to pharmacy school after reading this, you’re determined enough to probably succeed despite all the headwinds facing the profession. Or the next time a friend or family member asks if their kid should apply to pharmacy school, you might consider sharing these thoughts. Schools are making every effort to avoid competing because of the declining applicant pool, which is already happening. Early assurance programs are not good for the student in this environment. The main benefit is to the pharmacy school. If you have a market so heavily tilted towards the prospective pharmacy student right now, you should play schools off against each other when applying. Yes, I help pharmacists and other professionals get custom student loan plans for a living, but you should still try to graduate with a small enough balance that you can afford to pay back. That’s when negotiating comes into play. Play schools off against each other to see if you can get a “scholarship” that reduces the cost of attendance. Get everything in writing and sign a contract before you go with any promises. When schools ask for investment from bondholders, one of the key measures of weakness is “discounting,” aka home much the college has to reduce the sticker price to get enough students at the institution. I used to be a municipal bond trader in my former life, so I know many schools will resort to cutting their tuition if necessary to fill seats. It might not work perfectly though, and some schools might just say the price is the price. That said, at least try to help steer people away from the early assurance programs that benefit the schools. You will determine your financial future far more than Amazon, automation, or competition from other professionals. While there are undeniable pressures in the profession, many pharmacists are still doing well, particularly in rural areas where it’s harder to attract and retain professional talent. If you’ve got a bunch of pharmacy school student debt, we’re experts in helping PharmDs figure out a custom plan to pay it back. If you’re in the private sector and need to refinance, we’ve got student loan refinancing bonuses to help you do that do. Given the pharmacy school explosion, the average debt of our pharmacist clients is right around $220,000. We often find projected savings in the tens of thousands (current average is about $59,000) from pharmacists who aren’t using the PSLF program optimally, haven’t refinanced in the right way, or have not prepared for the tax bomb associated with private sector loan forgiveness. Finally, if you’re the do it yourself type, you could use our free tools and resources to figure out your loan situation. That way you can insulate yourself and your family no matter what happens with the economic future of the profession. What are your thoughts about the pharmacy school loan bubble? We’d love to hear your experience with pressures on salary, hours, increased training requirements, or all the above in the comments below!